Their brains grow in late summer and early fall! Today’s show brought to you by Forterra, saving the places that are keystones of a sustainable future in the Pacific Northwest. 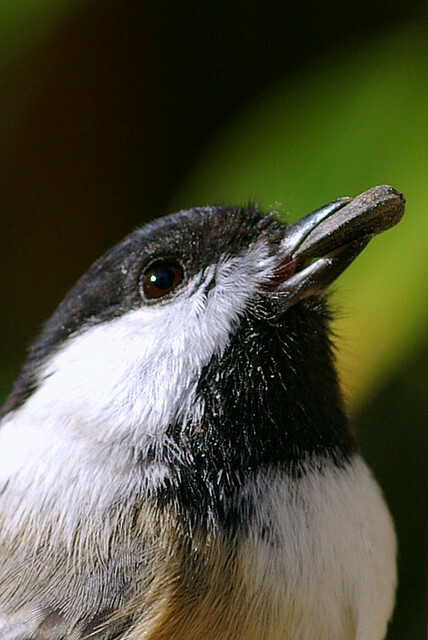 Dr. Nottebohm suggests that as demand for memory space peaks, chickadees discard cells that hold “old” memories and replace them with new cells that store fresh memories. Studying the ability of a bird’s brain to generate new neurons might uncover ways to replace brain cells lost due to injury, stroke or degeneration, as happens in diseases such as Parkinson’s, Huntington’s and Alzheimer’s. For BirdNote I’m Michael Stein. Did you hear a fact on today's BirdNote you'd like to follow up on? You can read all the scripts at birdnote.org.